If this isn't the perfect thing for a girls night, I truly don't know what is. 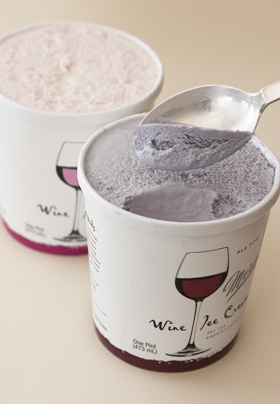 Allow me to introduce you to wine infused ice cream from Mercer's. Yes, I'm serious. Obviously I had to email them because their website is a bit confusing for an ADD chic and I need this in my life! Unfortunately it's not readily available in stores in the DMV, but they did tell me Texans are in luck if they wanna find it in a store. The rest of us gotta call to order for $7.95 a pint! If Santa's looking at this, I hope he knows I really want this in my stocking... hopefully in something that won't let it melt. Then I'll plan the most epic girls night ever.